Russia is planning a new coastal defense military division that will put some of the Russian troops within 50 miles of Alaska. The new division is expected to be in place by 2018. This new division will be responsible for protecting Russian territory with a range from the currently-disputed Kuril islands in the south to the sparsely populated territories in the far east near northern Alaska. 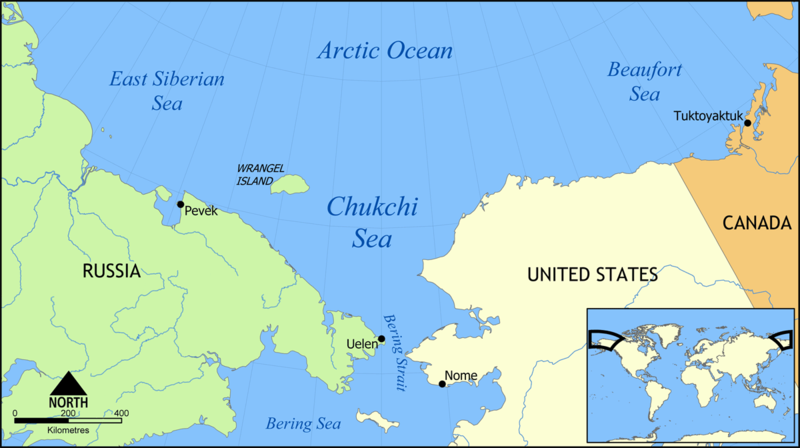 Some of the Russian troops will be separated from United States territory by the Bering Strait which is approximately 53 miles wide. Russian Defense Minister Sergei Shoigu claims that the decision was made back in July of 2015. Russia has been planning to create a unified system of coastal defense for years but only announced the new base on Tuesday. Russian strategic bombers have recently resumed regular patrols along the edges of U.S. arctic borders. Analysts fear that the new division will make it far more difficult for U.S. F-22 Raptors from nearby U.S. Joint Base Elmendorf–Richardson to intercept and monitor the activities of these bombers. It is believed that the new division may also include nuclear-capable ballistic missiles, submarines, and the long-range bombers. American military officials assume that the Iskander ballistic missile system may be transported to the new base. The Iskander has a range of up to 300 miles, clearly ratcheting up the presence near Alaska and ever important arctic lands that Russia is getting more aggressive about claiming.